CONSOLE. MCI 2 INCH 24 TRACK. NEUMAN U87. 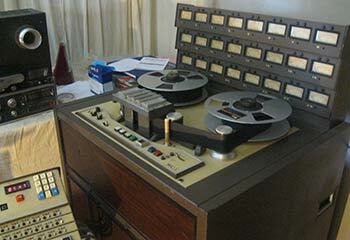 Record directly to 2 inch tape through our top quality vintage microphones and preamps. Digital recording can’t compare to the warm sound of tape. Band tracking and rehearsal room. Quality audio recording for voice overs, ads, jingles and Sold on Hold. 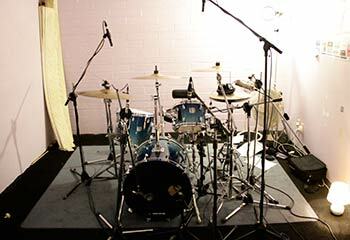 A wide variety of instruments, audio equipment and backline gear available. We have a variety sound systems for hire to suit a range of venues and occasions. 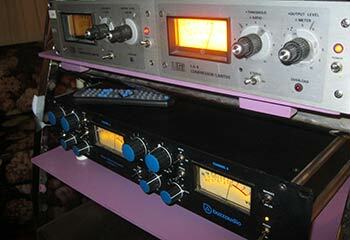 Full front house mixing and production services available with experienced audio engineer. Earwig Studios is located just minutes away from the central city at 41 Birkenhead Ave, Birkenhead. The studio is set amongst a variety of restaurants, bars and cafes, with rear parking available 24 hours. Salon Kingsadore, Garageland, The Hot Grits, Legacy Of Disorder, 8 Foot Sativa, The Broken Heartbreakers, The Whipping Cats, The Echo-Ohs , Echo Children , Steve Abel, Fejoa Jam, Marco Liguori’s Stolen Paintings, Uncouth, The Exponents, Alistair Riddell, Goon, Tony Fuemana with Urban Pacifika, Clarion Choir, Surrealistic, Riversedge, Fantababy, Superturtle, All Torn Up, Relentless Attrition, Sister Morphine, Skivvy, Billy Squire and The Rye, Mike Scorey, The Hitlist, These Four Walls, Roger Skinner, Figure 60, Semtex, Alpha Plan, Smoothie, The Radio Kings, One Black Shoelace, Lanky, AKDK, The Holidays, Mordor, Fluid, Chicane, Rival State, Celadore, Milk Milk Lemonade, Honey Barbara, The Lure Of Shoes, Marble Fawns, Mr Fuzz, The Coolies, Easy Tiger, Frontside Grind, Spa, Mali Mali, Roger Marshall, Oslo Brown, Cold Harvest Trust, To The Birds, Murray McNabb Group , Lovespud and many many more. The White Stripes, The Handsome Family, Evan Dando (The Lemonheads), Andy Bird, Blam Blam Blam, The Mint Chicks, The Tuts, The Bored Gordons, The Roulettes, The WBC, Graham Brazier, The Motel Six, Infinite Flying Kick, Karen Hunter, The Bads, The Heavy Jones Trio, Sinate, White Swan Black Swan, Grant Chilcott, Chris Knox, Che Fu ,Hollie Smith, Seth Hapu, Marble Sheep ( Japan ), Landslide ( Fleetwood Mac Tribute band), F In Math, Loud Ghost, Liam Finn, The Bats, The Eversuns and The Renegade Room at Campalowhum 2010-2014. Plus many many more.